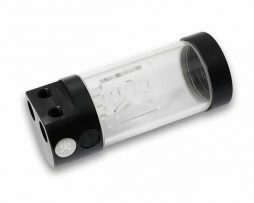 EK-RES X3 150 Lite is a cylindrical standalone reservoir, manufactured from premium quality 60mm acrylic tube and POM Acetal end caps in black color. 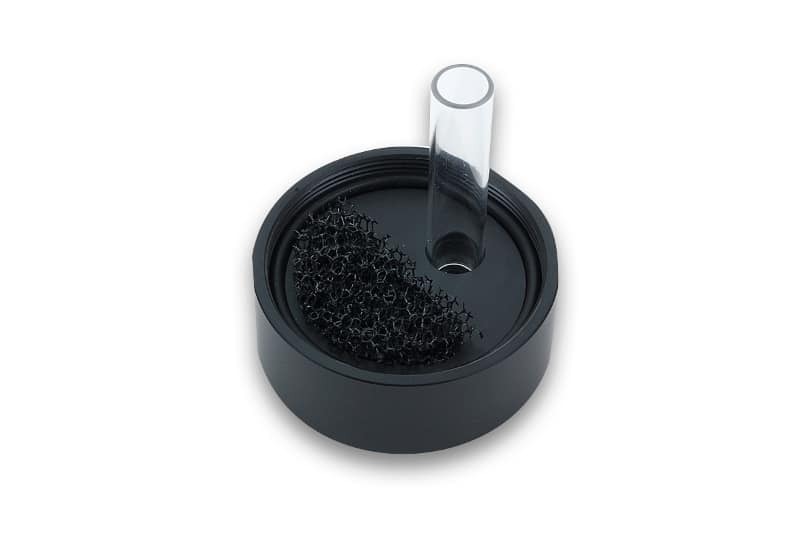 The sealing is performed by quality EPDM rubber washers. EK-RES X3 150 Lite reservoir is primarily made to be paired with EK-XTOP Revo Dual D5 with an enclosed EK-AF Extender Revo Dual D5 Add on. 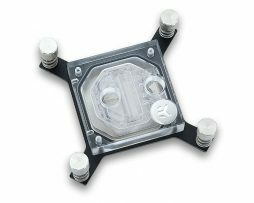 This is a small adapter fitting extender that mounts the reservoir to the EK-XTOP Revo Dual D5 and is not sold separately. 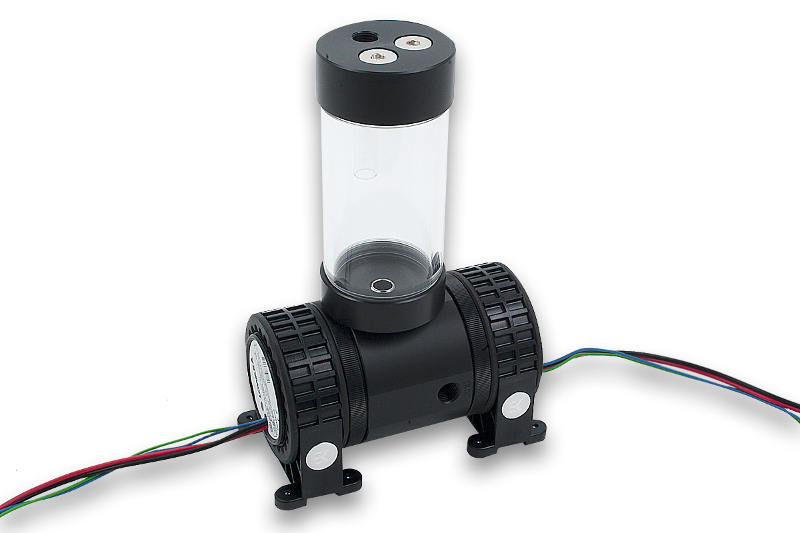 The top of the reservoir features three G1/4″ threaded ports, while the bottom has one G1/4″ threaded port. This allows the reservoir to be used as a standalone reservoir in various positions, such as horizontal and vertical configuration. 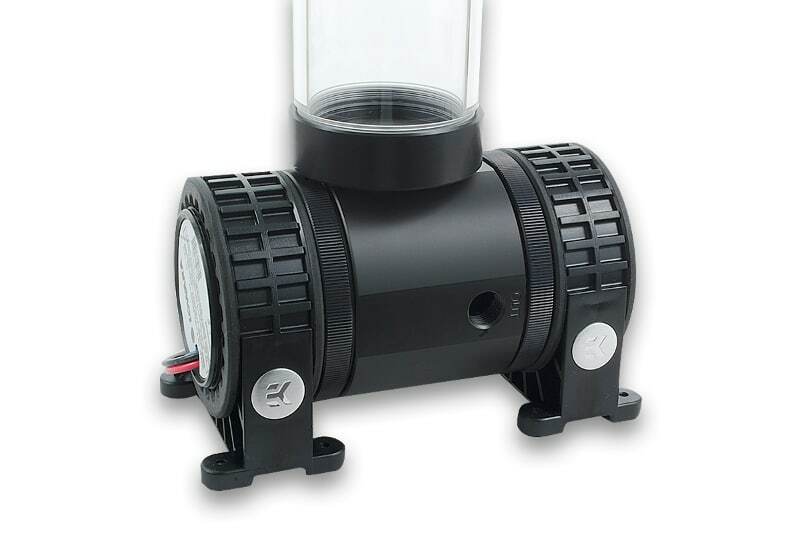 The inner face of the top comes preinstalled with one Acrylic tube that serves as a suction point in the horizontal position. Additionally, enclosed PE foam can be used to diminish vortex occurence. 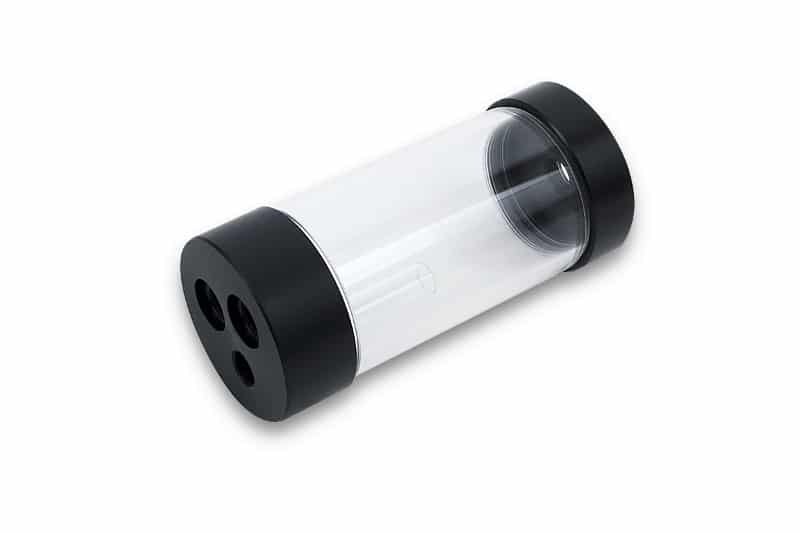 When using ports #2, #3 or #4 it is mandatory to use the enclosed EK-Extender G1/4 (EAN: 3831109845165) due the ports being recessed into the plastic Reservoir Bottom and Top. When using EK-Extender G1/4 make sure not to use fittings or barbs with G1/4 thread longer than 5mm! All EK-ACF and EK-HDC fittings are compatible! 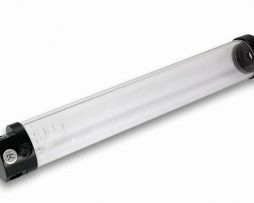 When using ports #1, #2 and #3 make sure not to use fittings or barbs with diameter larger than 25mm! 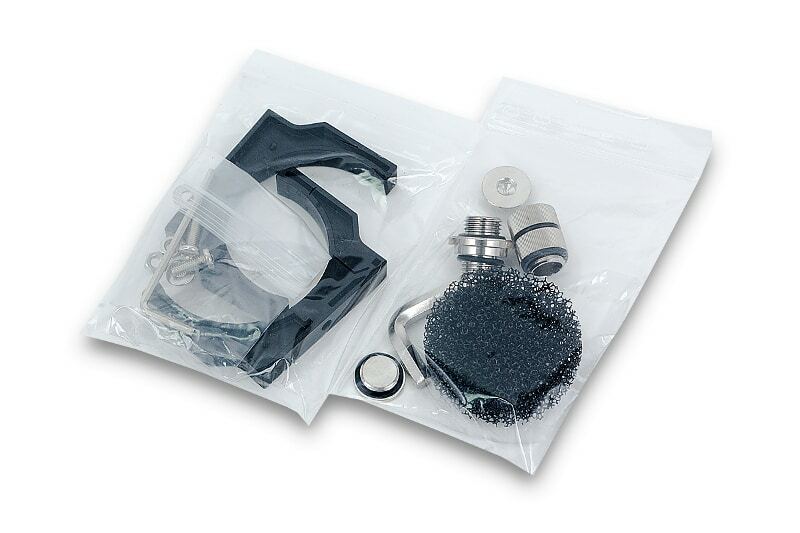 All EK-ACF and EK-HDC fittings are compatible! 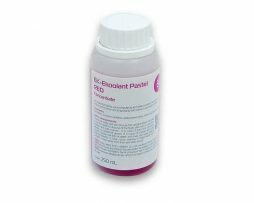 Do not use or clean reservoir with alcohol derivates or other solvents as acrylic may crack! 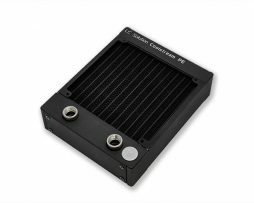 The EK-AF Extender Revo Dual D5 Add on is NOT compatible with EK-XTOP DDC! 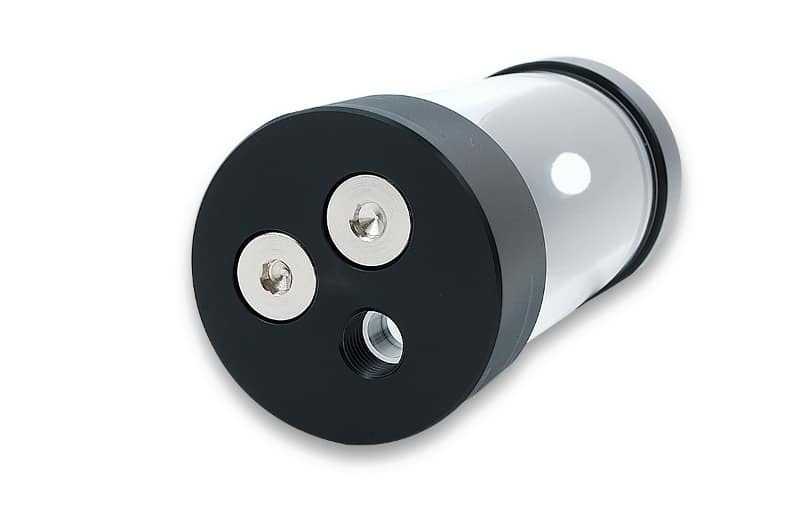 For this application you should use EK-AF Extender 6mm M-M G1/4.